During your Home Inspection, we will copy the make, model and serial numbers of your appliances, including the refrigerator, stove, water heater and HVAC system. The report is hand-checked for accuracy. The report is emailed directly to you within 48 hours. Recalls Found usually equals free factor repairs. In the event of a potential recall, the report will specify the nature of the recall, where the product was sold, who to contact and how to get the item repaired or replaced. 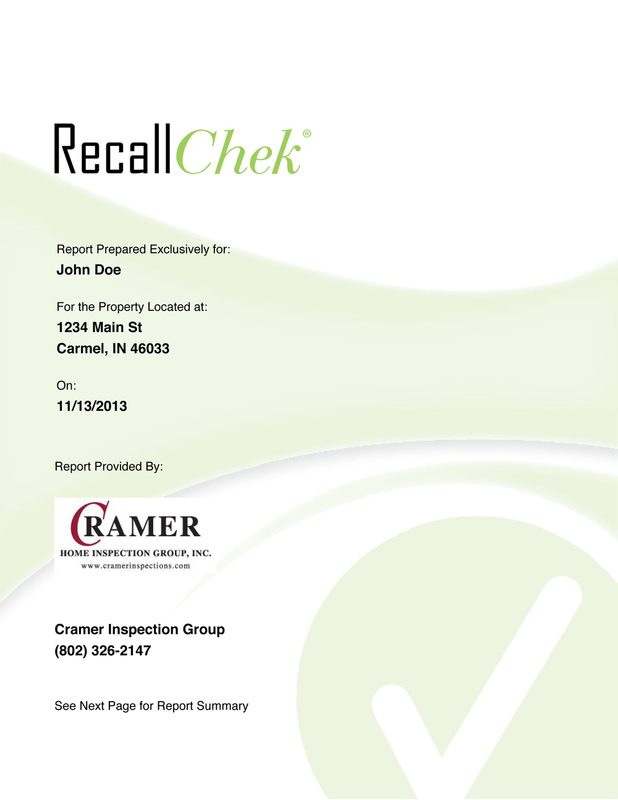 To see a sample of an actual RecallChek report CLICK HERE for a sample. You could spend hours going through the online databases of the various public safety departments, or contact each manufacturer directly to find out if your particular appliance has been recalled. But that could take hours. Instead, we do this for you for Free!